Dutch Space signs contract with Orbital Sciences for development of solar arrays for NASA’s new cargo missions to the International Space Station to be carried out under NASA’s Commercial Resupply Service project. Iridium reports increased EBITDA of 28.4% for third quarter, and decrease of 11.2% in net income due to acquisition related expenses – net income would otherwise have increased 36%. GlobeCast opens fibre POP in Moscow, expanding its nexgen global fibre network. General Dynamics is awarded $22.2M contract from the Space and Naval Warfare Systems Command to support the Naval Integrated Tactical Environmental System Next Generation program. GeoEye revenue surges 123%, while profits drop due to loss of tax break. Fastwave Communications receives contract from Chevron Australia Pty Ltd to supply water quality monitoring system for Gorgon offshore gas project using Iridium satellite data links. Intelsat signs multi-year agreement with Corporate Satellite Communications for Intelsat’s Network Broadband Global Maritime service. Stratos Global deploys the Inmarsat FleetBroadband mobile broadband satellite service for MPC Steamship, a fast-growing commercial shipping company. MYtv contracts with Intelsat for capacity it owns on Telenor Satellite Broadcasting’s Thor 6 satellite to deliver DTH content to Ukrainian audiences. International Launch Services and SIRIUS XM contract for launch of XM-5 satellite on the ILS Proton in 2010. Sea Launch seeks financing following approval from U.S. Bankruptcy Court, and plans for launch of Intelsat 15 from the Baikonur Space Center in Kazakhstan later this month. Lockheed readies Intelsat 14 for launch on Saturday, November 14. Italian company Carlo Gavazzi Space denies Iranian government’s claim that it would use Italy to launch a satellite partially built by the company. Gilat issues statement labeling lawsuit against it by Israeli shareholders over failure of March 2008 planned merger outlandish and without merit. Broadband stimulus program to be streamlined by USDA’s Rural Utilities Service and National Telecommunications and Information Administration to allocate remaining funding of about $3.2B of loans and grants in just one round. Norway will invest $214M in Spanish satellite in plan to improve communications with Norwegian defense forces deployed in Afghanistan and Chad as well as naval units on international missions. Globecomm Systems is awarded $17.7M contract from U.S. Government Agency to provide global SATCOM On-The-Move communications program management and services, integrating Soldier Node Extension Prophet Satellite Terminals in a hub-spoke and mesh architecture. Iridium is awarded $9.7M contract from U.S. Department of Defense to supply tactical communications radio-only devices to U.S. military. Gilat Satcom signs multiple renewal, expansion agreements with Intelsat in Africa to increase and enhance domestic networks and broadband services there. Soyuz rocket blasts off from Kazakhstan with Poisk module, a docking port and astronaut airlock for International Space Station. Satellite operators Qualcomm and Skyterra lobby FCC for more spectrum to support mobile data services utilizing ancillary terrestrial component (ATC). Massachusetts Department of Telecommunications data showing that Verizon added 81,000 FIOS subscribers in that state last year demonstrates how it takes share from cable and satellite providers, according to a senior analyst at Bernstein Research. Asian government defense agency selects Gilat Satellite Networks to deliver turnkey broadband communications solution. Comtech receives $1.2M order for satellite modems to support cellular backhaul in Africa. Intelsat reports net loss of $94.3M for three months ended September 30, 2009. Loral Space & Communications announces third quarter Adjusted EBITDA more than double that of a year ago. NASA’s Geostationary Operational Environmental Satellite Project offers real-time HDTV movies of the Atlantic and Pacific "hurricane alley" regions. Satlynx and Arabsat team up to deliver fully redundant satellite network for Central Bank of Iraq. 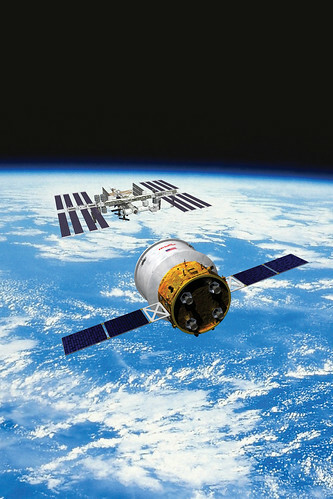 Space War With China; Northrop to Sell TASC; Iran to Launch Spy Satellite. Harris completes milestone review for GOES-R satellite ground segment contract in a NOAA program that will process 40 times more data than possible today, and serve 10,000 direct users. Inmarsat 3Q net profit is up 34%. Vimicro International Corporation, a leading multimedia semiconductor and solution provider, announces strategic development partnership with China Satellite Mobile Broadcasting Corporation to develop new technology for mobile TV. The US and European space agencies have signed the "letter of intent" that ties together their Mars programmes. China will launch a French-made communications satellite, APSTAR-7, for the Hong Kong-based APT Satellite Holding Limited in the first half of 2012. Philippine Long Distance Telephone Co. sells its subsidiary Mabuhay Satellite Corp to Asia Broadcast Holdings Litd, a Bermuda company engaged in the satellite business. A pan-European student built mission to the Moon will be managed by Surrey Satellite Technology Ltd. following its selection by the European Space Agency. South Korea will launch its first weather-communications satellite in March 2010. German service provider atrexx offers solution to customers locked into long term capacity leases and customers who are unable to find satellite capacity. This entry was posted on Friday, November 13th, 2009 at 10:53 am	and is filed under Uncategorized. You can follow any responses to this entry through the RSS 2.0 feed. You can leave a response, or trackback from your own site.